Do you like my new midi dress? Ovu duzinu haljine nikad nisam volela i nikad nisam kupovala. Tacnije, nikada cak nisam ni probala da bih znala kako mi stoji. Ovog puta sam odlucila da dam sansu divnoj midi haljini. Zahvaljujuci sajtu Ax Paris ona se nasla u mom ormanu. Definitivno ce moj sledeci izbor biti slicna duzina. Nisam ni slutila kako ovo moze dobro da izgleda. I have never before wear midi skirt or midi dress. But, this time I decided that I must have this dress. Thank you Ax Paris for my new favourite dress. What do you think? You can see my dress here - click. Do you like and wear midi? Zelela sam da vam pokazem novu haljinu, ali kako nisam uspela da u stanu nadjem cipele koje sam planirala uz nju, sasvim neocekivano nova kombinacija. Zgrabila sam ovu maxi suknju, a nisam mnogo razmisljala ni oko topa. Htela sam to neko letnje sarenilo. Nadam se da cete moju omiljenu haljinu videti vec u sledecem postu. I wanted to show you my new dress today. But I couldn't find my shoes in my house. I didn't know where I put them. And this outfit is unexpected. I chose maxi skirt and didn't think so much about top. I wanted something like this, summer colors. I hope that you can see my new dress in next blog post. Ove divne sandale dobila sam sa sajta Lilylulu. Iskreno, zelela sam ovaj model, ali u drugoj boji i drugom printu. Secam se da su te bile skroz lude, zuto plave jos sa leopard printom ( pogledati ovde). Sta kazete na to? Ali kako nije bilo velicine, ipak sam se opredelila za ove crno bele. Mozda je ipak ispalo bolje, hahaha? U pitanju je sajt iz Velike Britanije. Meni se licno obuca na njihovom sajtu najvise dopada ( mozete pogledati ovde neke moje favorite ). Velicine su standardne, tako da ja nisam imala nikakvih problema oko toga. Kako se vama svidjaju? Hi my lovelies! I got these amazing heels from website Lilylulu. Sincerely, I wanted this model, but in another color and print - see here my first wish. But one problem: no in my size. My second wish was these, black and white. And do you know what? I think I wasn't wrong. It was be amazing choice. Do you like my new heels? Nova saradnja, nova haljina. Stigla iz Velike Britanije, sa sajta Naanaa. Kako sam postala prepoznatljiva po bojama, ljudi sa sajta su sami i predlozili da ovu haljinu vide na meni. Pogodili su moj ukus, tako da sam haljinicu vec nekoliko puta i nosila. Sto znaci da je svakako dobar izbor. Kako se vama dopada? Da li ste na sajtu nasle i nesto za vas? New collaboration, new dress. Dress arrived from UK, from store called Naanaa. You know that I like colors so much. That is the reason why I ( and people from Naanaa )chose this amazing colorful dress. What do you think about my new dress? Their offer you can see here. I am sure that you can find perfect clothing. So hurry up. Let me know what do you think? Kada sam narucivala ovu haljinu sa sajta DressLily nisam ni slutila da je skroz providna. Tako da mogucnost da se nosi bez sortsa ispod otpada. No, to nije nesto poremetilo moju kombinaciju. Dodala sam teksas sorts i gotovo. Sad, ako kupujete nesto sa sajta, za neku posebnu priliku, ili kombinaciju, procitajte bolje one utiske ispod svake stvarcice. Tako cete spreciti ona iznenadjenja koje slede kada otvorite paket. Today, I wore my new white dress from DressLily. I added some accessories, H&M hat, Emblem sunglasses, Soufeel bracelet. And ready for walking. Have a nice week girls! Kroz nastavak saradnje sa sajtom Elitefashion99 dobila sam priliku da odaberem nove komade. I da, znam da ide leto, mozda je ocekivano da odaberem nesto laganije, ali sam ja otisla pravo na rubriku jacket i izabrala jaknu! Sta cu, delovala je najpotrebnije, hahaha. Kako su veceri jos uvek prohladne, i upravo pada grad, mozda moj izbor i nije bio tako los. Cekam vase utiske. Hi! I got a chance to continue collaboration with Elitefashion99 and choose some new items. Yes, I know that summer is next month, but I chose jacket! And I am in love this amazing red-blue jacket. Waiting your comments. Hello girls! I decided to write a post about women's amazing dresses and website Cocomelody. I will show you some of my favourites. Women are looking for a perfect dress. I was browsing the internet for shops where I can find these things. Luckily, I bumped on one amazing stores online called Cocomelody. Cocomelody offers a large selection of different styles. And all of the dresses you can buy for very cheap price. They have a huge selection of great quality and they have amazing choice, a lot of models in different prints. They are following the latest trends. This time I wanna share with you some dresses for bridal party. I found in their store. They have a huge assortments: bridesmaid dresses under $100, maxi dresses, bridal dresses, wedding dresses, special occasion dresses, short bridesmail dresses. They have huge discounts. I recommend you to check their offer. Their offer you can see here http://www.cocomelody.com/ . I will show you amazing maxi dresses. They are great choice. 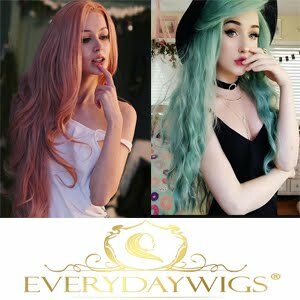 This site has amazing choice, a lot of models in different colors. These maxi dresses are great for some special events also. If you want to shine in some big nights, this site is perfect solution. I am sure that you can find everything you need. They have a huge selection of great quality women's clothing. You can choose different colors and designs. So hurry up and find your perfect dresses. Let me know what do you think? What is your favourite dress? Kao sto sam na Instagramu vec rekla, u jeku najvece popularnosti koju crveni konac i narukvica mogu imati, jedna takva je i meni stigla kao poklon sajta Soufeel. Iskreno ne verujem u konac kao konac, ili narukvicu kao narukvicu, ali verujem u neke svoje misli i razmisljanja. Hahaha, nadam se da ste me shvatili. Vodila sam se nekim licnim motivima pri izboru privezaka. Privesci su srebrni, a meni su pomogli da napravim neku svoju kracu pricu, koju cu nositi sa sobom. Svi imamo drugacije prioritete i svi imamo drugaciji put kojim stizemo do ciljeva. Imate apsolutnu slobodu da od ogromnog broja privezaka napravite svoju jedinstvenu pricu. Ja na levoj ruci nosim simbole srece, ljubavi, nade, sigurnosti i smeha. Neka zivotna pravila kojim se vodim. Linkovacu ispod sve moje priveske kao i narukvicu. Nisam sigurna koliko se dobro ovo vidi na fotografijama, ali slikano je u stanu, tako da su blic i efekti ucinili svoje. I upravo videh da je ovaj model narukvice prodat. Izgleda da su svi pozurili da se zastite od negativne energije i zlih ociju, hahaha. Ja drugo objasnjenje nemam. Nema veze, ostaje veliki izbor razlicitih srebrinih narukvica koje takodje kao i ova crvena mogu nositi priveske, hahaha. Hi girls! How are you? 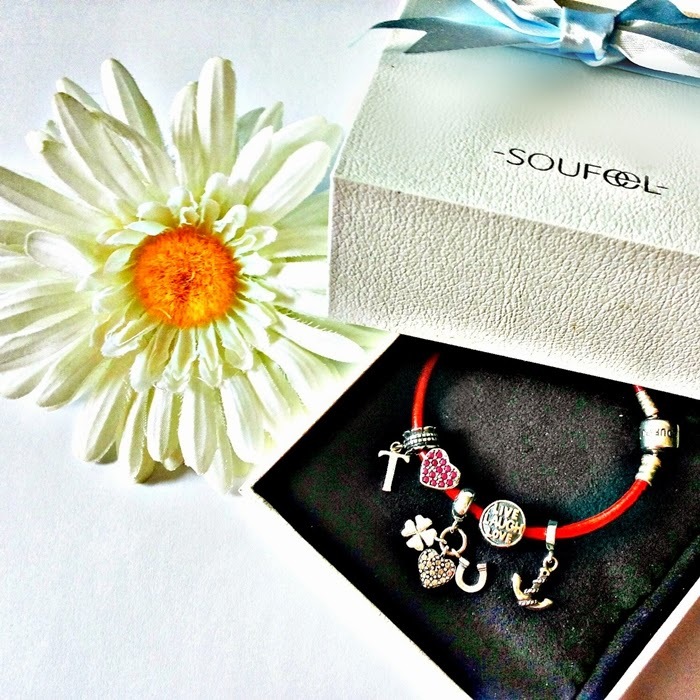 Today I will show you my new bracelet and charms from Soufeel. What do you think about red bracelet? Do you believe that red bracelet protect us or not? Good protection against the evil eyes? A lot of people have a different opinion. I don't believe in bracelet, but I believe in my thoughts and my story. This time, my new charms are writing my story. On my left arm I wear symbols of happiness, love, hope, safeness and laugh. These are my rules of life. If you want to write your story, hurry up, choose your bracelet and charms and make your rules of life. Obecavam da sutra ne nosim zutu boju. Shvatila sam da sam preterala, hahaha. Kako bih opisala ovu kombinaciju? Pa pedeset nijansi zute, zar ne? Dobro ima malo i zelene :) Suknja mi je stigla sa sajta Lovelyshoes kao deo saradnje. Tacnije sama sam je odabrala, i to prvenstveno zbog boje ( pa da, zar ste sumnjali ) i cene. Ne secam se tacno, ali mislim da je bila oko 2 dolara. Pa iskreno, mislim da ne moze biti bolja ako uzmemo u obzir cenu. Zelim vam divan vikend. Oh yes, yellow again. Yes, I am a yellow lover, lol. I promise that I will not wear this color tomorrow. But, isn't yellow great for spring and summer? I described this outfit 50 colors of yellow on Instagram. Ok, green is here too. I bought this amazing skirt on website Lovelyshoes. I didn'remember exactly, but I think that price was $2. Oh, yes. If you want to see details about skirt click here. Hello my lovelies! I decided to write a post about women's clothing and website Tidestore. I will show you some of my favourites. 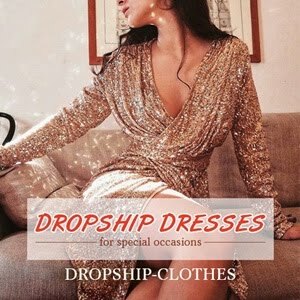 Women are looking for a perfect dress, clothing, accessories. I was browsing the internet for shops where I can find these things. Luckily, I bumped on one amazing stores online called Tidestore. Tidestore offers a large selection of different styles. And all of the clothing you can buy for very cheap price. They have a huge selection of great quality and they have amazing choice, a lot of models in different prints. They are following the latest trends. This time I wanna share with you some cool cheap swimwear. I found in their store. They have a huge assortments: maxi dresses, skirts, jackets, coats, pants, shoes. They have huge discounts. I recommend you to check their offer. Their offer you can see here http://www.tidestore.com/ I will show you amazing maxi dresses. They are great choice for summer. This site has amazing choice, a lot of models in different colors. These maxi dresses are great for some special events also. If you want to shine in some big nights, this site is perfect solution. I am sure that you can find everything you need. They have a huge selection of great quality women's clothing. You can choose different colors and designs. So hurry up and find your perfect clothing. Let me know what do you think? What is your favourite swimwear? Dress? Ova haljina je poklon. I bolja nije mogla biti. Nosila sam je cesto prosle godine, ali te kombinacije nisam zabelezila. Zato sam iskoristila ovo divno vreme i ponela je malo pre leta. This dress is a gift from my cousin. She bought it in Waiblingen. And I wore it last year, but I didn't take photos. Now, it's right time to share with you this spring outfit. Kako ovog puta nemam nista pametno da kazem, hahaha, ostavljam vam samo fotke. Nadam se da uzivate u vikendu. Vidimo se vrlo brzo.